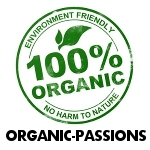 Organic food is healty I joined organic passions because I like organic food. I dislike GMO foods because they're not organic and they hurt the ecosystem and health. I believe GMOs should be labeled. Organic food is muthier and better tasting. It's also fresher. organics for all I really believe it is better for us and I don't buy into its just a label on products. Does lovefromabove32 belong in this group? Organic4U Why is this important? Have you read Seeds of Destruction by William Engdahl? The real story behind why GMO's are very very dangerous? Interested in meeting a single guy who has this and alot of other regular terests? Does serve1818 belong in this group? Non-GMO I detest GMOs. I rather eat organically like humans have been for centuries. Does aideno96 belong in this group? "Be excellent to each other." - Bill Info junkie, health nut, left-handed, right-brained. Longtime vegan, newly raw. Pffno big deal. Animal rights, astronomy, reading, exploring new music, independent media, pretending to be good at yoga/tai chi, all kinds of science/philosophy. I'm looking for someone who treats life like the bizarre, awesome adventure that it is. Does rmwilson belong in this group? I think it can be worth it to organic. I don't always eat organic. It can depend on what it is and the price.